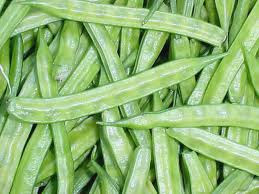 GUAR GUM INFORMATION AND GUAR GUM CULTIVATION IN INDIA: Guar seed and Guar gum will remain under pressure of speculators. Guar seed and Guar gum will remain under pressure of speculators. Assembly election in Guar growing state “Rajasthan” has finished and result has declared. 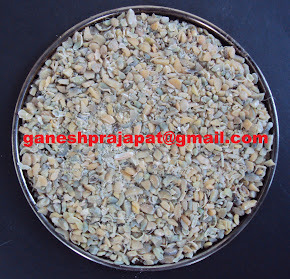 During the last election guar seed prices was an election issue in guar growing belt, specially the western Rajasthan. One reginal party could secure few seats. It was all success of Guar issue. In this assembly election guar was not a hot issue among the voters of Guar growing belt. Guar if preforming against the basic trends of commodity market. At the time of peak arrival when daily arrival was around 90,000 - 1,00,000 bags per day then guar prices was at its top. After that guar seed arrival in market came down to 30,000 bags per day and prices fall against the general law of tight supply. Currently arrival is around more than 30,000 per day prices are around 4300-4400. This year export statistics of gaur gum are positive, and it is higher than previous fro the same period from April- September. There was export of 2,65,195 MT of guar gum till September,2018. New data for October and November month has not released by govt. As per market man export is higher than previous year. Fracking activities are increasing in USA and south America. OPEC countries want to decrease the oil production so that crude prices can go up. But USA is increasing the shale crude oil production and putting the pressure on OPEC countries. Guar gum demand and export is increasing continuously since last three years. Prices of Guar seed and Guar gum in the clutch of speculators. Once the prices go around 4900, farmers and traders feel that prices will goes further than prices fell sharply with profit booking at upper level. Once the prices go down around 4000 when farmers and traders do the distress selling then strong buying is noticed at lower prices. New production/ supply of guar will come in next year in October month, price movement will depend on demand of guar seed and guar gum market. Demand is stable in local physical market, buying has noticed at every level. 4000-5000 level has emerged as major price bracket. 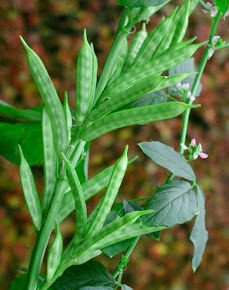 Guar seed prices have strong support of Guar Churi and Guar Korma. Guar korma is exported and used as substitute of Soya protein. Next two- three months are very crucial for guar gum as oil drilling companies will import the Guar gum for drilling/ fracking operation. How much guar gum will be exported in this period that will be very important? Up to 14th December there are 1071 active rig operational in USA, this number is 141 higher than previous year for the same period. Recently Mexico has also given contracts for oil and gas drilling blocks. As per global drilling activities, demand of Guar gum will be higher than previous years. How can Guar seed farmers make profit ?